Bhonsale Ghat and Manikarnika Ghat at Varanasi (Kasi) was built by Maratha King of Nagpur and Thanjavur. 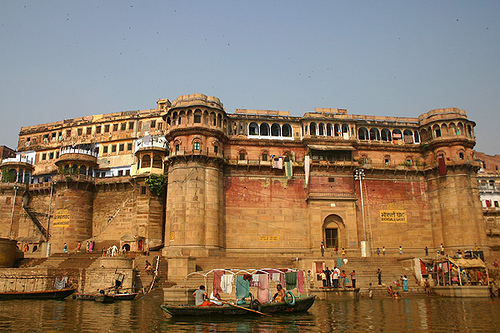 Varanasi which is also known as Banaras or Kasi is one of the oldest living cities in the world. -Mark Twain- author of famous novel ‘Adventures of Huckleberry fine and Tom Sawyer’ wrote after his visit to Varanasi and was also attracted by its sanctity. Varanasi (Kasi) is called the home of Lord Shiva, Situated between two rivers ‘Varna’ and ‘Ashi’. This place is the holiest of holies for Hindus and believed to bestow all happiness, prosperity and Salvation (Mukti) to all visitors. In addition to god Visweswara and Goddess Gowri, Annapurna is also presiding over the area and she bestowed food (Anna) to all devotees who visited Kasi. In 1821, King Serfoji the second of Thanjavur stayed in “Thirupanandal Mutt” during his Yatra to Varanasi. Important temples in Varanasi: Kasi Vishwanath Temple also known as the Golden Temple dedicated to lord Shiva, Annapurana Temple of Devi Annapurna near Kasi Visnwanath temple, Sankatha temple of Devi Sankatha near the Scindia Ghat where the huge statue of a lion and nine more temples are seen, Kalbhairav temple one of the ancient temple in Kasi believed as without his permission no one can stay in Kasi. Mritunjay Mahadev temple of lord Shiva,Just beside this temple there is a well of much religious importance, whose water is said to be mixture of several underground streams and good for eliminating several diseases. Durga Temple built in 18th century with beautiful stonework.There is a pond adjacent to that temple called ‘Durgakund’, Sankatmochan temple of lord Hanuman founded by Goswami Tulsidas known as ‘Monkey Temple’, Bharat Mata Temple inaugurated by Mahatma Gandhi in 1936 houses maps of India carved out of marble, other modern temples are Tulsi Manas Temple dedicated to Lord Rama and New Vishwanath Temple in the premises of Banaras Hindu University. 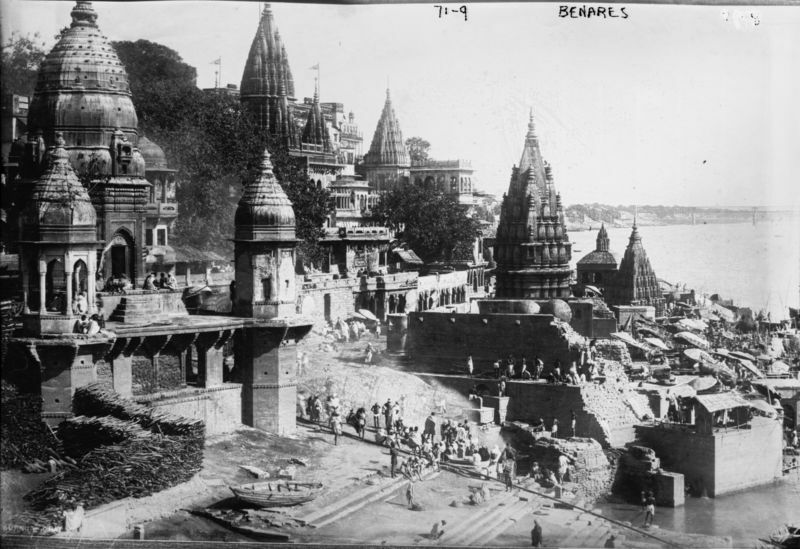 Ghats of Kasi: There are 84 ghats,where each of the ghats have their own stories. Manikarnika Ghat on the bank of Ganga river was built by King Serfoji ll of Thanjavur during his pilgrimage to Kasi. In commemoration of his Pilgrimage to Kasi, King Serfoji ll constructed the Manikarni Keshwara Swamy temple in the same street in front of his Sankara Vilasa Palace at Thanjavur. 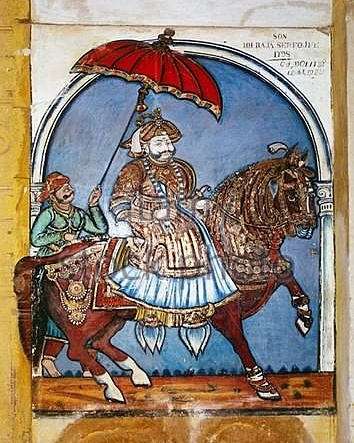 Ancient Mural of King Serfoji ll at Brihadeshwara Temple,Thanjavur.